A warm Cornish welcome to Portherras Farm Cottage! 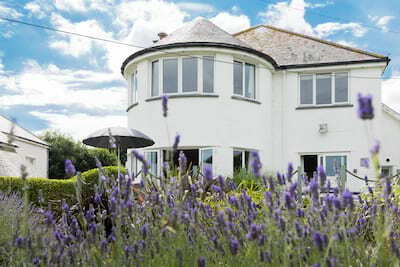 Set in a plum West of Cornwall location, immerse yourselves in the natural beauty and unique holiday spirit of this very special home away from home. Portherras Farm Cottage offers 4 bedrooms, 3 bathrooms, generous social spaces and a truly wonderful landscaped garden complete with hot tub and breathtaking coastal views. 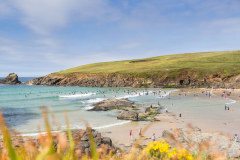 Access the South West Coast path just a minute from your holiday door and walk down to the white sands of Portherras Cove or head to the surf and sights of Sennen. 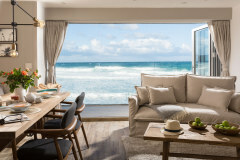 From wild Winter weekends to extended Summer stays, there really is no better Cornish base from which to explore this magical Western Cape. Follow the Cornish country lanes, through the farmland and arrive to the working farm of Portherras, a characterful picture perfect scene of stone farm buildings, original granite walls and rolling valley leading down to the sea. Portherras Farm Cottage is set over two levels with a reverse layout. Arrive into the ground floor hallway where the four comfortable bedrooms have each been lovingly styled in the finest linens in fresh whites, cools blues, soft yellows and deep reds. A large family bathroom ensures a luxury pamper is enjoyed after a day in the Cornish elements. A central staircase leads up to the light and sunny social spaces where family life comes together to rest, relax and reconnect. 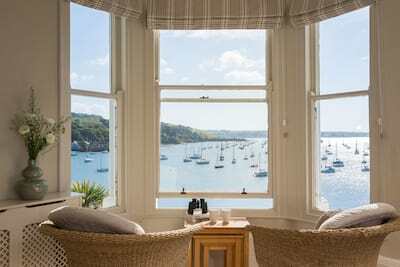 The spacious living room is the hub to the house as guests sink into sofas, relax with a good book or favourite film and gaze upon the far reaching sea views. Lead through to the farmhouse style kitchen offering ample space for all to get involved with family feast preparation and where dining becomes a family affair once more at the large wooden table. Located just off the dining space is a sunny balcony with dining table and chairs, what better place to enjoy a hearty breakfast. A convenient cloakroom completes the first floor. Step outside your door and into garden luxury as the verdant green lawn rolls away towards the valley and beautiful pockets of garden seating ensure a quiet corner away from the hubbub of the house. For cooler evenings the conservatory offers a tempting option or dress the terrace table to impress for celebrations. Adding a little luxury for garden life, dip into the hot tub and loose yourself in the distraction of the landscape with only your friendly neighbourhood cows to disturb. 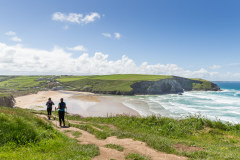 The nearest beach is accessed on foot along the coastal path down through the valley to Portherras Cove, a quiet and picture perfect hidden cove with azure blue waters and white sand. 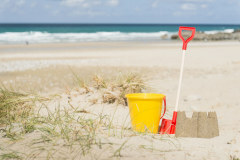 Sennen offers a nearby alternative with cool cafe and a popular spot for local surfers. The South West Coast Path is 0.3 miles away taking you on a day's walk to St Ives or half a day to Land's End and Sennen Cove. 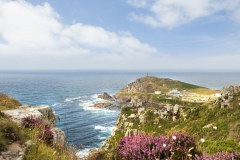 Out and about in West Cornwall is simply magical, grab your camera and discover your Cornish exposure! Nearby Gurnards Head is an award-winning gastro pub, 10 mins drive along the coastal road named the Most Scenic Coastal Route In The UK! 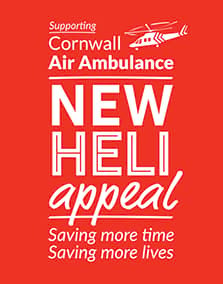 or follow the coast road North to the coastal town and harbour of St Ives in 25 minutes. Located on a UNESCO mining heritage site, Geevor Tin Mine cafe serves fresh hand made pasties, scones and Victoria sponge cake to die for, the whole site overlooks the Atlantic. 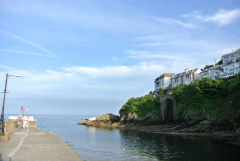 The North Inn is 3 mins away in the centre of Pendeen serving traditional food and is known for their special Indian cuisine as the owner's son spent time cooking in India. There is also a local shop selling local produce with the nicest eggs on the peninsula! Penzance is a 12 min drive and well worth a visit especially the newly revamped Jubilee Pool on the promenade. Create lasting memories at Portherras Farm Cottage and experience a true taste of Cornwall - from family stays to friends reunions, come together in rural luxury. Level garden access, small step up to the terrace. The house offers reverse level living with the social spaces on the first floor and bedrooms on the ground floor. Portherras Farm Cottage is located within an area of farmland with working farm nearby, there are neighbouring livestock in the surrounding fields. 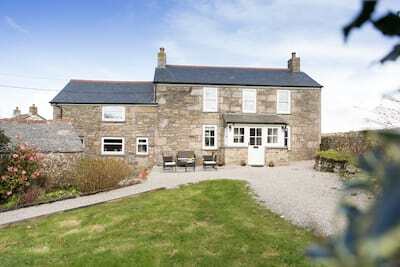 Portherras Farm Cottage is located near to a working dairy farm within the natural beauty of west Cornwall. Portherras Farm Cottage is beautiful, It has been restored beautifully and sympathetically both internally and externally. Thoroughly enjoyed our stay in this wonderful cottage with stunning views, It was comfortable and well equipped. We will have special memories of a very happy Christmas. What a beautiful house. Well thought out wth every comfort. We really loved our stay, would highly recommend and would definitely come back. Quite simply it is superb. From the house, garden and surrounding views-what more could you ask for in a holiday. An amazing time was had by all in this magical land of Cornwall. Wow Wow Wow! this house is amazing, the best we have ever stayed in. We enjoyed the hot tub and the fantastic views. Views to die for! 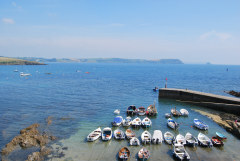 A great location close to lots of idyllic beaches. This has been a lovely holiday home. Fantastic setting and house. We have had a wonderful week here. Absolutely loved having the beautiful Portherras Cove on our door step. Thank you for having us. Absolutely amazing house and setting. Very clean quality throughout and very well presented. Views and scenery to die for and not far from all the favourite places and beaches. It was lovely to come back to this idyllic and relaxing house. Thank you so much for helping to make the perfect holiday. Highly recommended. What a view, we come to Cornwall every year and these are the best views we have ever had. A truly beautiful cottage and very well equipped. We will be back. Stunning Cottage with stunning views. Best place we've ever stayed in, a perfect week, even the weather was great for November. Portherras Farm Cottage is amazing, perfect without the hot tub, even better with. We will certainly return! 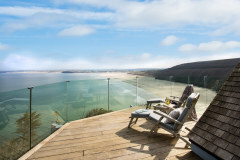 If you are looking for a little luxury in remote, rural, rugged west Cornwall, then this is perfect. Daughter loved seeing the calves at the farm everyday. 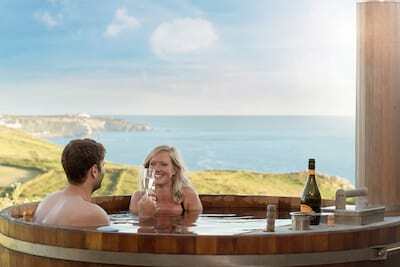 Sitting in the hot tub looking at those sea views is magical. Nearby Portheras Cove is stunning and a hidden gem. The property was lovely, beautifully designed with everything we required and more.